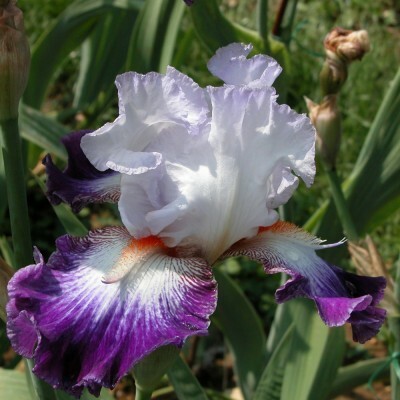 This unique Plicata with a white background is a son of the renowned 'Splashacata' which was awarded the Dykes medal. White falls completely peppered with dark purple dots. Bronze yellow beards. Lots of style and a pleasant fragrance. 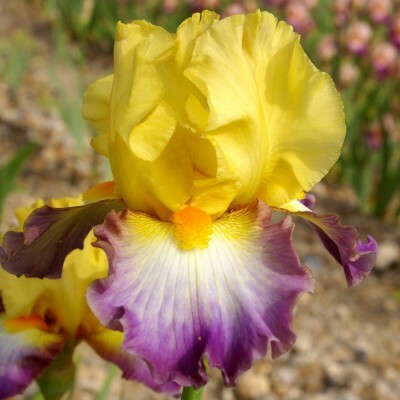 Soft yellow standards slightly amber at their tips, falls bearing a big white centre edged with amethyst pink. 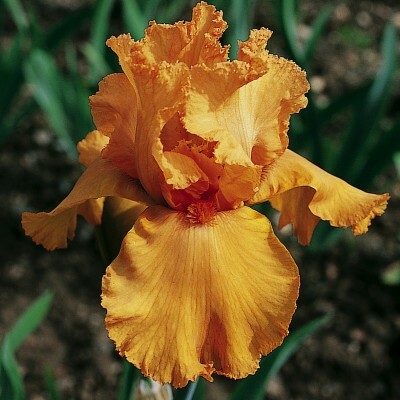 Orange-yellow beards edged with the same yellow as the standards. Medium-sized flowers, well balanced and waved. A bright, cheerful colour combination. 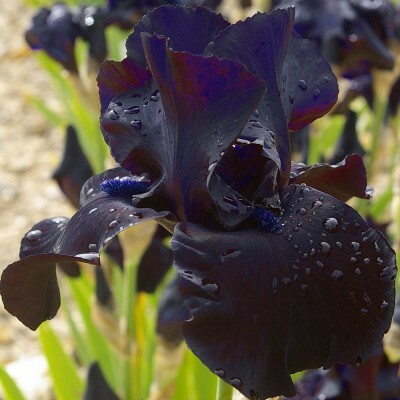 In our opinion, the blackest among the "black" tall beardeds. Standards and falls show the same intensity of black and the beards are black too. 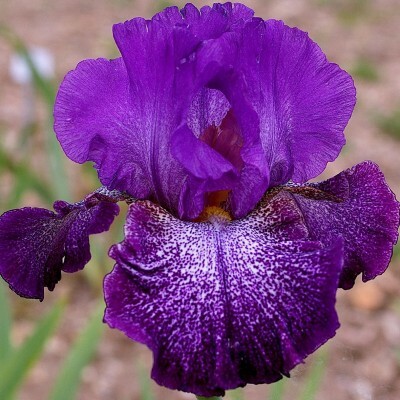 Elegant flowers, moderately ruffled. Slightly musky fragrance and very vigorous growth. Pleasant fragrance.